After watching the movie Truth or Dare, you might not see the game it is named after in the same way ever again. Directed by Blumhouse Productions, the company is known for its low-budget films, television series, and the award-winning Oscar movie Get Out. 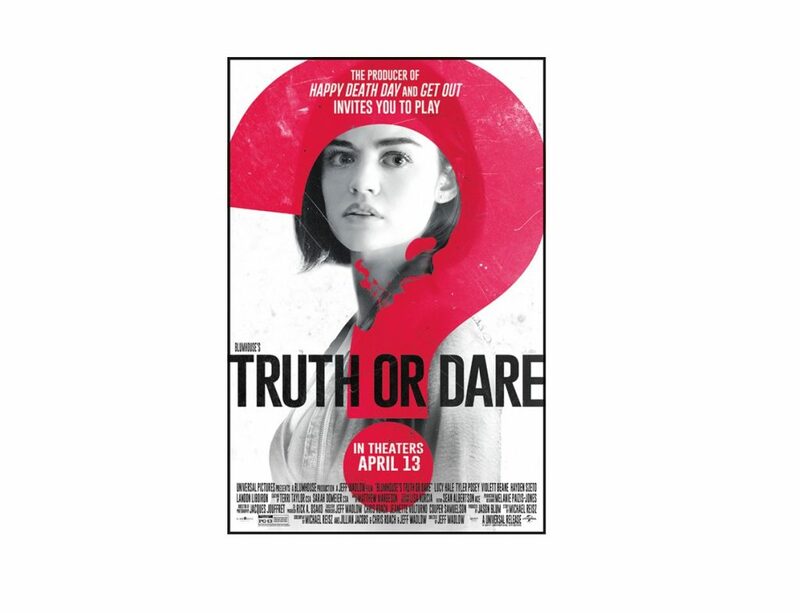 Truth or Dare has received a lot of attention and was highly anticipated prior to its release because the cast members include Lucy Hale from Pretty Little Liars and Tyler Posey from Teen Wolf. Coincidentally, the release date also fell on Friday the 13th. Hale and Posey, both expected to be the nominal heroines, played the main characters, Olivia Barron and Lucas Moreno, alongside Violett Beane as Markie Cameron. This movie is rated PG-13 and I really think producers should tighten restrictions on this movie because it contains sexually explicit content, violence, and unusual horror-movie killing ways. The movie kicks off with Olivia, Lucas, and four more college friends heading to Mexico for their spring break vacation. Olivia meets a guy named Carter at a bar and he persuades her and her friends to drink at an old church while convincing them to play “Truth or Dare.” The game ends with Carter revealing that he deceived Olivia and her friends to participate in a cursed version of “Truth or Dare.” A popular line that everyone knows from watching the trailer is “Tell the truth or you die, do the dare or you die, if you stop playing you die.” Similarly, throughout the whole movie, Olivia and her friends go through these obstacles of “Truth or Dare.” It was not just simple “Truth or Dare” that you would normally play with your friends; the dares they receive are very brutal, very honest, or something that Olivia and the kids were scared of and the truths were revealing deep secrets and ruining the friendships they had. I think this movie is an ordinary and decent yet scary movie that would make you say, “It makes no sense but it is interesting to watch.” Although, the movie is too scary because all you can think of is “Who is going to die next?” There were many plot twists that made it thrilling to watch. In all honesty, I thought the ending was pretty brilliant. So I dare you to watch it if you can.